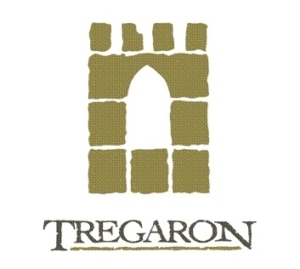 Golf Events hosted by organizations and individuals from across the Omaha Metro area are at home at Tregaron. Why? Because of the quality of the golf, but also because of the incomparable customer service, the experienced staff, and of course the delicious food and beverage. It all combines for a memorable golf Outing. Traditional golf with each player playing their own ball and adhering to the tournament and USGA Rules of golf. A very popular team format conducive to faster play and group interaction. Each player hits his tee shot, and the team picks the best shot of the group. The others then move to that position and hit their shots, once again moving their balls to the best position. This procedure continues until the ball is holed out, and one team score is posted for the hole. A scramble should be favored when there are players of various skill levels within your group. Our professional staff would be happy to discuss other possible formats with you. • Scores posted on our Vision Perfect System and viewed throughout the clubhouse on all television screens. *Our Event Packages are Exclusive of sales Tax & Gratuity. *A minimum of 40 Players is Required. 1/4 lb. Beef Patty & 1/4 lb. Brat with Lettuce, Tomato, Pickles with two side dishes and chips. Build Your Own Sandwich Bar / Platters of Ham, Roast Beef, Turkey, American & Swiss Cheese, with two sides & chips. BBQ Beef or BBQ Pork Sandwich with choice of two side dishes and chips. Grilled Chicken Breast with Teriyaki Glaze served on a fresh Rotella Bun with your choice of two side dishes and chips. Steakhouse Potato Salad, Country Style Potato Salad, Italian Pasta Salad, Macaroni Salad, Cole Slaw, Cowboy Baked Beans, Garden Salad with assorted Dressings.